Please use the form below to submit your article by word doc. Please include a head shot and a featured image. Please scroll down for submission guidelines. 1. 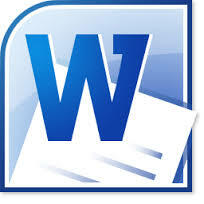 All submissions are to be in Word Format. 2. All submissions should include a featured image that will sit at the top of the article summary on the Home Page. This image should be rectangular approximately 250 by 100. 3. All images should include a caption/cut line. Add these to the bottom of your word document. 4. All images should have a URL associated if a reader clicks on the picture. Add these to the bottom of your word document. 4. If you are not a regular contributor please include a short bio. 5. Any links or contact details should be included on the submission. 6. Articles should be of approximately 300 words and include a key word that is in the title and appears at least 2 times in the body of the article. The Key Word is used for SEO and as such should be pertinent to your article and if required, your organization and its products. Please contact kath@oasesonline.com for any submission difficulties. We will not publish articles that are not of general interest to the tutoring community or the running of a business. Feel free to mention a product as long as it is in the context of an informative article. The editor’s decision is final. We will not publish any articles for companies that offer any services to students that may be considered cheating. Our decision on publication is final.